Though Jacob has neglected God, God is still working, even behind the scenes. He is about to allow pain into the lives of Jacob and his family. The megaphone is coming. Though sin tries to derail the people of God from the best purposes God had for them, God is still sovereignly working all things together for His good purpose and pleasure. The Pain of their own choices is about to become the ice water splashed upon their spiritually sleepy faces. God will use these circumstances to wake them up from their slumbering state. The fear of God has left them, but its about to return. They have taken things, dramatically into their own hands and yet God is about to bring them back. God is bringing Jacob to the end of himself. Jacob will be brought to pathetic and disgraceful lows… We must all get there, sometimes time and time again in order to look back up to God from our knees and acknowledge Him once again as Lord and master. One more quote, and listen carefully, and then we will dive into our text. “Let me implore the reader to try to believe, if only for a moment, that God, who made these deserving people, may really be right when He thinks that their modest prosperity and the happiness of their children are not enough to make them blessed: that all this must fall from them in the end, and if they have not learned to know Him they will be wretched. And therefore He troubles them, warning them in advance of an insufficiency that one day they will have to discover. The life to themselves and their families stands between them and the recognition of their need; He makes that life less sweet to them. Jacob is getting there. The Brokenness is coming and Potter is standing ready to make him right once more. It had always been about “the Kingdom” – God’s rule here on earth. About God’s people living in and living out the fulfilled promise of the one and only true God. The Jews were in fact to be the praisers and worshipers of God, and that is what the Messiah, the Christ, the Promised King would do, He would unite the people of God as worshipers of God and rulers with Him forever. That is the promise, and what good is a promise unless it is fulfilled? That promise and its fulfillment is what the entire bible is about. Will God be true to His promise? Will he fulfill His covenant with man? a pile of hay, surrounded by animals? Its easy to like the promise, but will we accept its fulfillment? The Gift of a savior came… but it took some time. Like most major changes throughout history, the gift of a savior king for Israel would not come without major opposition. People fear change… it makes us feel uncomfortable. It threatens our norm and moves us unwillingly a lot of times from our comfort zone. The birth of a savior had been rumored as wise men had followed a star from the east to Bethlehem where they believed that THE Messiah had been born. Upon this discovery Herod, the King and ruler of Palestine, fearful that he would lose his power and maybe even his throne, decided to take his fate into his own hands and he acted in a most desperate and wicked way. Joseph, as we know had been forwarded in a dream and had fled to Egypt to keep his son Jesus safe. Imagine, a father, protecting (or saving) his son, who would later become his Savior. Like Herod, people who would protect their own power over their own lives – their own will and comforts, have always had and always will have a hard time accepting their own need for a Savior. To acknowledge God, is to acknowledge that you are not superior in the universe. one day we must be accountable to them. And for most, that is simply unacceptable. To acknowledge God as ruler and king of our lives would require us to accept His ways and change ours. It would require us to acknowledge our state of needing Him and His rescue if we were to find out that we were indeed not perfect like Him. If a holy God demanded that were unacceptable and unworthy of His kingdom in our imperfect and sinful, dirty state of being, than we would NEED a rescuer, an offering of forgiveness… a ransom. Herod could not accept a ruler over his life, threatening his kingdom, and so he refused to bow the knee and violently resisted the will of God and took matters into his own fleshly hands. But the will of God can not be thwarted. God would fulfill His promises to usher in His Kingdom with the promised Messiah seated on the throne. Truly, the clay is in the Hands of the Potter, and the Potter will have His way with His purposed vessels. Truly, the Kingdom of God was at hand and there was nothing man could do to stop it. The Messiah and Savior and King had been born and He was being raised as one like us – only without sin or imperfection. The Kingdom of God was upon us all and God had sent a messenger to prepare the way…. John was anything but normal. He was a disciple of God and a forerunner of the messiah. He was truly willing to look a fool for the sake of setting the stage for the one who could save his own soul and the souls of those who would repent and believe. God would use a man, clothed in camels fur and belted with cow skin and who lived in the dusty wilderness, eating grass hoppers and honey. Not a great looking celebrity or CEO or viral sensation. Not a rich man or an impressive man, but a CALLED man. A man whom God had selected. A Humble man. A man willing to do the will of God. A man willing to forsake worldly comforts to afford others the comforts of an eternity with God. A man willing to speak the truth even if it cost him everything. A man willing to be laughed at and insulted and questioned and beheaded. John was not a man chasing riches or popularity. He was chasing God. Longing to follow Him and do His will. To make Him know, even if it cost Him everything. Herod had feared that the messiah would live to conquer his throne, but it was Gods desire to conquer the hearts of men. His victory was to overthrow the sin and rebellion that man had become accursed with. His Gift to us in His coming was the gift of repentance and the fruit of salvation. Changed hearts, leading to a changed mind that could finally worship God without needing the continuing sacrifice of an animal, but worshipers who could continually come before God forgiven by the blood of their savior and sin-conquering King. The Kingdom of God was upon us. God’s promise was being fulfilled and John The Baptizer was preparing the way! John’s Message like a Truth Sword cuts through our armored skin and penetrates our souls. His preaching and message was the truth from God, highlighting the chasm that sin had laid before us and the Father, that could only be bridged by the sacrifice of the son. Our sin kept us from the Kingdom of God and it was only through the Son could that bridge be repaired. Sin was the injury. Repentance was the healing balm. of our advent series we talked about our fall into the cursed life because of Sin and our desire for it. Joel highlighted our need for a Savior because of our being cut off from the righteousness that is needed to live in fellowship with a Holy God. That is what holiness is and what it does – it is cut off from fault and error and sin. You cannot live righteously and wrongly at the same time. In order for God to be right (holy), He must keep those who are wrong out of His Kingdom. But God’s purposes were not to keep us from Him forever, not even sin could separate us from the Love of God. Randy emphasized the Prophesies concerning the coming of our savior. God not only planned our salvation, but He verbally predicted it for us in written form before it would even take place. He told us that He would save His people, and He saved and is saving His people through the promised Messiah – the Christ – The Savior of Gods people, just as He had promised. Jesus Christ. Ryan reminded us that God’s ways are not our ways. Christ did not arrive with flashing light and a parade. He was born of humble means and circumstance. There was no room for Him in the inn. He was a baby. Helpless, needy, dependent upon His mothers milk and needing a blanket to keep warm. This was how God showed up in the flesh. Just as God had planned, sovereignly. The conqueror of Sin, born as a baby. Josh shed light on the reality that the light of the world has shone in our hearts and he highlighted the emphasis in scripture that the people of God would be the bride of Christ. That Jesus as light of the world would shine in our hearts and give us life. That God has promised salvation and He has delivered on that promise. What will you do with that promise? Belief itself is not without it’s evidence. Just as the proof is in the pudding, the evidence is in the fruit. Salvation as a gift is to be received and the gift received leaves itself evidences. The first being a repentant life. That doesn’t happen without showing its evidence. You can know who God is and be an unbeliever – an unrepentant person or being. A Person who has heard the truth and received (i.e. believed) the truth has experienced a miracle. This is in fact, known as regeneration. The gift of God to us, in removing the blinders from our eyes and the snares from our feet so that we can believe and see Him in His glory and grace and be recipients of the Gift of God – Salvation. This Salvation is all of God alone. 25 He must correct those who are in opposition with courtesy and gentleness in the hope that God may grant that they will repent and be led to the knowledge of the truth [accurately understanding and welcoming it], 26 and that they may come to their senses and escape from the trap of the devil, having been held captive by him to do his will. When I pray for my unbelieving friends and family members, I pray that God, in His great kindness and mercy would grant them repentance as a gift of His great grace. What was Johns message in the wilderness? It was that the Light was coming into the world and that it was now time to confess our deeds and repent, that we might receive new life. The change God seeks is the change of the heart and mind. He takes evil men and replaces their calloused hearts with fleshy hearts. He takes a perverted mind and purifies its thoughts. He takes and old filthy garment and replaces it with a new clean and spotless one. He takes our unworthy sacrifices and becomes the pure spotless lamb of God who takes away the sins of the world. This was the coming Kingdom that John preached about. The Kingdom of God and Christ who would forgive the repentant sinner and make His kingdom in their hearts. But the Kingdom came to those who would believe and receive? Many knew Jesus, but did not receive Him for who He divinely Is. They know Him, heard him, ate with him and saw his miracles, and yet they did not receive the gift of God, but instead rejected it. Even the demons believe, says the scriptures. Repentance was not a fruit of their lives but rather a hardness of heard. Rocky hearts do not grow on trees, fruit does. Those who are connected to the vine bear fruit and that fruit resembles Christ. Those who’s stony and prideful hearts keep them christ are not attached to the vine but remain on the ground, only observers but not partakers of the fruit. Though they may gather close to the branches, they are not part of the tree. This is why it is so important for us to speak the truth as John did. He was a witness to the truth, faithfully preaching a baptism unto repentance, why? So That many would believe and receive the gift of God in Christ – Salvation. Who do we call to repentance? Who do we ask to believe? Who do we pray for, that repentance might be granted? We preach to all, we pray for all, and we love all. We don’t know…. And so we preach the good news to whoever we can, and we pray that GOD, who is rich in Mercy, would grant the same repentance to those hearers that he has granted to us, even though we were sinners. Consider John 1-3 with an emphasis on the word receive. If God’s good news of how He has loved you, and sent His Son Jesus to die for you has reached your ears and pierced your heart and has created the feeling of remorse for your sins for maybe the first time, than can I rejoice with you, that a miracle has taken place. That is a Gift from God for you. Receive this Gift gladly. Accept this reality that God has allowed you to repent and turn from your sins and not only believe Him but to obey Him. This is the fruit of a life reborn – regenerated and made to come alive for the first time. Its not Just about believing, it’s about being born again of God alone. John’s Gospel is the only gospel that does not mention John the Baptist’s death and his beheading at the hands of Herod. . .
It’s as if John the Baptist simply fades out of the picture just as he would have wished. John simply described himself as a Voice. The voice of one crying out in the wilderness. What will your voice give witness to? John proclaimed the coming of his Savior and told people to believe and receive Gods Gifts of Grace: Repentance unto Salvation. I cannot imagine a better way to be a voice, than to proclaim the Salvation that has come to us by God in Christ Jesus or Lord. The purpose of this exhortation this morning is simple. It is to encourage our hearts in the love of God. These questions do indeed come with answers if we listen to the right sources. If you want the answer – need the answer, go to the source. The source of Love has spoken and given the answers that comfort even the most distraught and hurting hearts. When we are broken or doubting in the area and need for love, it is comfort that we are in need of. It is really a deep question and enquiry of purpose and belonging. What is my purpose if love is not some part of it? To be loved and to give love. We all want it. We all need it. And sometimes we need to be reminded of it. To be comforted by it, by the source itself. To be comforted by the love of God for us as His creatures and kids. How are we comforted by God? We are comforted by his great love. He gives it, He shows it, and He promises it eternally. The comfort He gives is an eternal comfort and good hope, freely given – through His generous grace. I want to answer a couple of questions this morning about the love of God toward us and for us. 1. Does God love us? The will of God is to bring all who look upon Him and believe into eternal life with Jesus – receiving the same reward: eternal life. God has compelled Himself in love to save the otherwise un-savable. Does God love us? The answer is a simple yet resounding YES! Because He willingly decided to act upon His love for us by saving those who believe in Him. God loves us and has set His desire to save us and glorify His Son and Himself by doing so. Its incredible that being the object and recipient of Gods love can, in and of itself bring Glory to God, and in doing so give our lives and our love meaning and purpose. But, how can this be? How does this happen? To love someone is to set your affections upon that person, and to be full of good-will toward that person. The closest relationship I can think of, to give as an example of this sort of love, is that love between a parent toward a child. It a pure love, wishing only good upon its recipient. No evil is wished upon the other, only good things and pleasant thoughts are extended toward your child. The Love is reciprocated. It is received, recognized and aimed back at its originator. We call this Love, and it becomes worship for those who believe. As a result of receiving this love, we want to obey and respond in kind. We want to be like God was and is toward us – loving and lovely. How is it that love exists in our hearts and in this world? It exists because God, among many other attributes, is a loving God who loves us as His own. This is the agape love of the father extended to us – now made his children through faith, because of His reconciling us to Himself through Jesus, His son. And so, does God love us? He has loved us by sending His Son into the world, specifically to fulfill the will of the Father in saving us and giving us eternal life with His beloved son. The eternal curse of sin was deservedly upon us as trespassers and law breakers. And yet the penalty of that curse was undeservedly placed upon Himself in the flesh upon the cross. Gods righteous judgement declared all sin to be punishable by death. It (sin) did not belong. Not with God, not in His presence and not in eternity. Who could settle and satisfy Gods wrath and righteous judgement? What propitiation could be made, allowing us to escape the wrath of God to come upon the sins of the world? A solution to the problem did not exist. It does not exist outside of the One who can accomplish the impossible. Unless God acts within Himself to remove our sins, they cannot be removed. Within our lives as unforgiven sinners, we were missing the best of Love… Gods love, and so we were missing the best of life… eternal life. He could not simply remove the punishment. That would not make Him just. Simply, justice would not be served. He also, could not declare righteous what had been tainted by sin. That would not be right. Justice had to be imposed. But how could sin be removed and punished at the same time? How do you cure death? The Father of all creation, compelled by His own love toward those who would believe, made Himself to become the sacrifice that would appease His own wrath. Rather than letting us face the eternal consequence of our own sin, He became sin for us and stood in our place before the Judgement seat of God, as the Son, paying the price for our sin, dying, though He had been eternal life Himself, and there, feeling the pain that should have been ours, allowed Himself to be tortured and executed as a slaughtered lamb at the hands of those whom He created, and who were corrupted by sin, and He was nailed, hands and feet to a splintery wood cross, and there the eternal wrath of God was thrust upon Jesus Christ, once and for all satisfying Gods wrath and delivering justice on the offenders who would look to Christ Jesus for salvation. He did what could not be done by anyone else. He took our sin’s upon Himself – all of them, and then rose in victory – sin could not keep Him in the grave because it was not His sin that caused His death, it was ours! What was impossible for man, was made possible by God Himself. We could not inherit the eternal spiritual life because in our sin we had become spirituality dead, and yet God in His love moved Himself to act on our behalf, sending us the promised rescuer, Himself, in Christ as Savior. How has God loved us? He has loved us by sending us His Son as Savior and by doing for us what only He could do – dying in our place and sharing with us His eternal reward – eternal life. Jesus invites us to follow him, and receive a new identity in him. Like Peter, to go from a man led by the impulses of his flesh, to become a man led by and standing firm in Faith, proclaiming the truth that changes our hearts and minds and saves us for heaven, by the grace of God through Christ. Jesus defends and preserves His house, His presence, and His church and a place to meet and talk with God. In love, by grace we are invited as His children, to pray with Him. He preserves His house as a house of prayer, casting out those who would stand in the way of you and the Father. Christ has brought us to the Father, now and forever. Jesus speaks with the outcasts and marginalized – sitting down with and drinking water from the cup of the samaritan woman – an adulterous woman rejected by the jews, yet accepted and pursued by God, here at a well, found by her Savior. She had been looking for peace, but not until Jesus found her did she know it. Here, with love extended by God in the flesh, her life was now made whole. Gods love shows itself in His love for those hurting and the outcast, as He healed many who were hurt, lame, diseased, blind, poor and even the demon possessed. With great compassion for those hungry, who followed Him, He twice, miraculously fed them with fish and bread, to satisfy their physical hunger, simply because He cares for them and He cares for you. It may just be that simple, that God takes care of you because He Loves you. He Loves you now and into eternity. Do you trust Him? Do you trust that He Loves you? gather into barns, and yet your heavenly Father feeds them. being anxious can add a single hour to his span of life? come to me, and whoever comes to me I will never cast out. He is also the Living Water (John 7:37), providing not only for our physical hunger, but satisfying our spiritual thirst eternally. He has given us His Spirit – inside us, to give us life and keep us for God eternally. God comes to the defense of a women caught in the very act of adultery, and forgives her of her sins. He is not ashamed to humble Himself in coming to our rescue. The woman would have been stoned otherwise, if Jesus had not intervened. What sin is so big or so condemning in your life, that Jesus would not stoop to the ground and lift you up from your mess? Just as He did for the Women caught in the very act of adultery, He has done for you. He has and will come to your rescue. No sin is too great, no one has become so backslidden or gone too far into the darkness that Christ cannot redeem or rescue you by shining His very light of forgiveness into your life to bring you back into His glory and grace. For that is His mission – Gods mission – a rescue mission. He is the light of the world and whoever follows Him will not walk in darkness but will have the very light of life. Do you need to walk into the light? He loves you, for that is why He came, and comes to your rescue. God reassures His love for and eternal protection over His sheep, even laying down His very life to win you back to Himself – dying to protect you from the enemy of your soul. the sheep. 16 And I have other sheep that are not of this fold. In what other ways has God and does God express His Love for us? Jesus weeps with those who have lost a loved one (Lazarus). Not only does he weep over our lack of and lapses of faith, but he takes it upon Himself to increase our faith through miraculous acts of His grace upon our life. Here, He raises a dead man, Lazarus, not only restoring life, but increasing our faith. He walks on water and calms storms, He makes wine for celebrations, He washes the feet of His followers, He defends His disciples against the attack of the legalistic pharisees, He promises His Spirit as the keeper and sustainer of our salvation, bringing us home to heaven. He fulfills His promise to us, by laying down his life for us on the cross, and pleasing His Father, and finishing His mission. He forgives those who persecuted Him, and He forgives and restores Peter, who betrays Him 3 times. . . Does He Love you? Are you loved? The answer is a resounding YES! Y.E.S! Look at what great lengths He has gone to, to show you His great love for you, and in doing so, Jesus has completed and satisfied the will of His Father, giving God glory. And finally, in Love, He redeems our praise and brings us into worship. Our Response is to Love as He has loved us. To forgive others. To be instruments of His Love, Mercy and Grace. Be reminded now, and make no mistake, that you are eternally loved, oh child of God, and blessed forever. Listen to Jeremiah and Special Guests on “The Minister The Ministry and Me Show” on iTunes and several podcast platforms. Also known as The 3M Podcast. 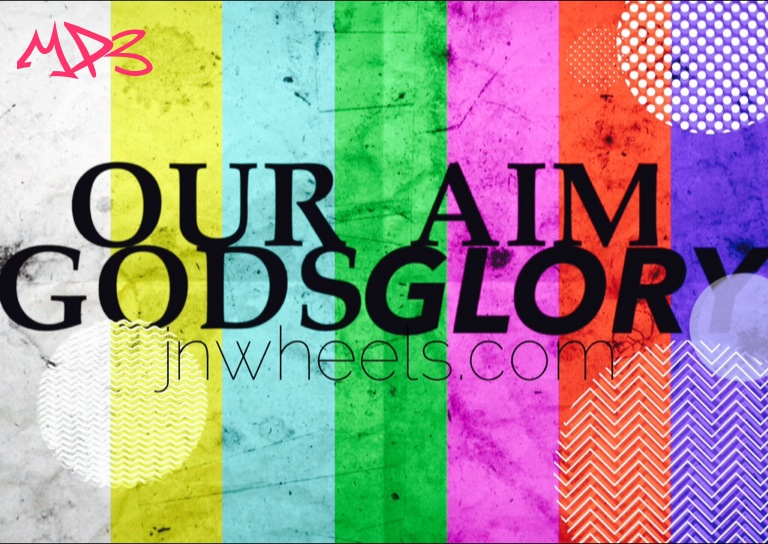 J.N.Wheels talks with guest Jeremiah Jasso about the importance of keeping with sound doctrine in the the church for this generation and future generations. Should we be scared of Doctrine? Should we as christians embrace and teach doctrine? What is doctrine anyways? Find out on this episode of the 3M Podcast w/ J.N.Wheels. To listen to the full episode click HERE and find the 3M Show on your favorite Podcast platform. Tagged 3m podcast, Christian Doctrine, Christian Podcast, Doctrine, J.N.Wheels, Jeremiah Jasso, jeremiah wheelersburg, the minister the ministry and me show, What is Doctrine? The Following is the transcript of my recent sermon on Sola Gratia – Grace Alone. God shows kindness to all. Gods Help and Glory in our everyday blessings and victories over sin. What is Sola Gratia (Grace Alone)? Salvation as a gift of God. The church needs to remind ourselves of the essential doctrines of the faith– Founded in Sola scriptura– or the Scriptures alone. These are the distinctions that set us apart from every other faith system on the planet. Because they are founded in God, not man. They are otherworldly and beyond the reasoning of man. -The grace of God alone for salvation (Sola Gratia). We are talking about God sharing Himself with us. These attributes and realities are found in Him, not us. Gods Grace is an attribute of God, being shared with us. A true gift that cannot be found anywhere else. No one has it but God himself and if He does not share it with us, we are rightfully dead where we stand in our sins forever. We are the beggars, and He has the goods. When we talk about these essential doctrines, we’re talking about things which we would not have known had God not, in his kindness, that is, in His Grace, revealed them to us through his Holy Scriptures. The gospel is the kindness and grace of God for undeserving man. God did not have to supply His grace to us in saving sinners. This kind of grace and kindness is an attribute of God which He has decided within Himself to share with us. We would not have it (that is His Grace in saving us from ourselves – Daily!) unless He moved Himself to love us in this way–that is the gospel–giving us of Himself, that is His Son to stand in our place and receive the wrath of God, poured out in full upon His body, becoming the curse of sin, that we had earned through our unrighteousness, sin and willing rebellion against Himself. He laid down His life and we became the undeserving benefactors of His reward – Eternal Life! Only the righteous may stand in His presence, and Christ is the righteousness of God, and through faith in Christ alone, have we been covered (justified) in His righteousness. God is freely (graciously) Justifying Sinners Through Faith in Jesus Christ and What He has achieved for us in our stead. This is solely and purely an act of God by his choosing not ours. We do not have that kind of righteousness within ourselves–to be rebels and yet choose righteousness. God had to, Himself, intervene and choose us as recipients of this wonderful and amazing gift of God’s grace for salvation through his son. “All that the Father gives Me will come to Me, and the one who comes to Me I will certainly not cast out. My Salvation is YOURS! not mine. I did not, could not earn it. I could not accomplish it. It is a gift from You, oh Lord, granted by Your Kindness to guilty sinners. How can we give Him Glory if we ascribe one iota of our salvation to our own doing or earning? Can we share His Glory? 15But I am the LORD your God, that divided the sea, whose waves roared: The LORD of hosts is his name. 16And I have put my words in your mouth, and I have covered you in the shadow of my hand, that I may plant the heavens, and lay the foundations of the earth, and say to Zion, You are my people. All these things help us obtain a bigger view of God than is popularly taught in our culture. Though Paul and his readers could not comprehend completely God’s sovereignty, still he understood this, that God alone is righteous and holy and sovereign and he can and will perform his will, his way, for his own sake and glory. Who He saves or how He saves? We are simply recipients of His Grace and our response is to be that of Worship and praise and adoration toward Him for His gift of Amazing Grace. We must see God on the throne Sovereignly (holy/righteous), then we must rightfully see ourselves and our eternal state before this Holy and Righteous Creator God. God Created all things and He did so beautifully. He declared that all was good. And man was in fellowship face to face with God – instructed to not eat of the fruit of the knowledge of good and evil, yet woman tempted and deceived by “the deceiver – satan” disobeyed and ate, then offering it to the man (adam), he also ate, yet his was a deliberate act of willful rebellion. He transgressed or sinned against His Friend, His God – Creator and mans nature has never been the same. Though he once chose to walk in the garden with God, now he had chosen to walk in his own ways, whatever the consequence and as a result, his heart would not choose righteousness unless an act of Grace on Gods part would lead him back to God. It is through Scripture Alone that we come to know who we are and what we are in need of. We need God. And so God intervened (though He did not have to), promising a savior who would once and forever conquer deception, sin and death. God had set Himself on a mission to reveal His kindness through patience and long-suffering – showing us how good and wise and glorious and loving He is and has been to us. He spoke through Noah and Enoch and Revealed Himself and made covenants with Abraham, Isaac, and Jacob and David. He spoke through Judges, Prophets, Kings and Priests until He finally stepped into the timeline and spoke as Himself – Savior. He who had once operated as creator, would now become savior to all who would believe. If we are to understand grace, we must understand God as Holy, Sovereign, Righteous Judge. If we are to receive Gods gift of Grace, and experience its Joy as a result, we must understand our desperate need for saving grace because of our sin and its deadly consequences. Christ had come to die in our stead. To bring a once and final acceptable offering to God of a perfect righteous spotless sacrifice (the lamb), in order to appease the wrath and justice of God toward sinners. Who else could offer themselves as such an offering but God Himself in Christ. 14The four living creatures said, “Amen,” and the elders fell down and worshiped. No one is worthy but Christ. No man can stand before the presence of God except the God who became man in order that we might be made holy in His eyes through the sacrifice of the lamb of God – Jesus Christ. Made through Christ, Just as if we had never sinned in the eyes of a holy and righteous judge. This is the love and Grace of God toward sinners, that He would choose us, sinners to be His bride. Not because of our righteousness, but because of Christ’s Righteousness for us in our place. 2 And you were dead in the trespasses and sins 2 in which you once walked, following the course of this world, following the prince of the power of the air, the spirit that is now at work in the sons of disobedience— 3 among whom we all once lived in the passions of our flesh, carrying out the desires of the body[a] and the mind, and were by nature children of wrath, like the rest of mankind. [b] 4 But[c] God, being rich in mercy, because of the great love with which he loved us, 5 even when we were dead in our trespasses, made us alive together with Christ—by grace you have been saved— 6 and raised us up with him and seated us with him in the heavenly places in Christ Jesus, 7 so that in the coming ages he might show the immeasurable riches of his grace in kindness toward us in Christ Jesus. 8 For by grace you have been saved through faith. And this is not your own doing; it is the gift of God, 9 not a result of works, so that no one may boast. 10 For we are his workmanship, created in Christ Jesus for good works, which God prepared beforehand, that we should walk in them. You never earned or deserved it, don’t you dare try now to earn or be deserving of it. It began in the heart of God as a gift of grace and it will always be that – Gods unmerited favor. You were never worthy and yet God chose to save you. Simply accept and enjoy the gift. Your only worth now is through Christ and Christ alone. You are not and will never be your own savior. Sola Christos – Christ alone is Savior. What in Life do you prize the Most?